New Sibling Journals Always Bring a Smile! 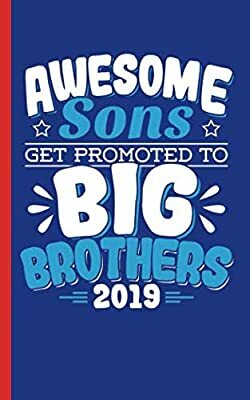 Awesome Sons Get Promoted to Big Brothers new baby gift for toddler or older boy child to welcome the new baby. Motivational! Inspirational! Use for baby gender reveal parties, baby showers, or just a simple gift to let the older sibling boy know he's still loved and not forgotten. 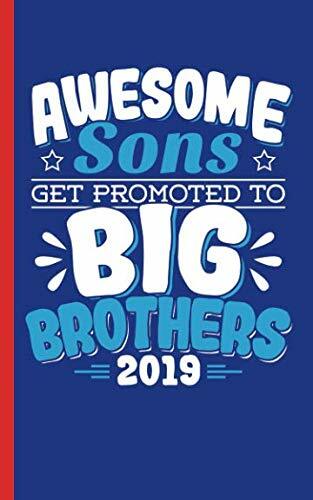 Works best for a baby shower surprise gift, Christmas stocking stuffer, or Easter basket filler for child promoted to big brother, sibling son idea helps with pregnancy announcement or baby shower surprise. Encourage your older son to record his experiences with the new baby and participate in the fun!